This breathtaking 1928 Spanish Colonial in Los Angeles’s Hancock Park neighborhood offers a grand foyer, formal living and dining rooms, screening room, library, and a beautiful kitchen/great room. 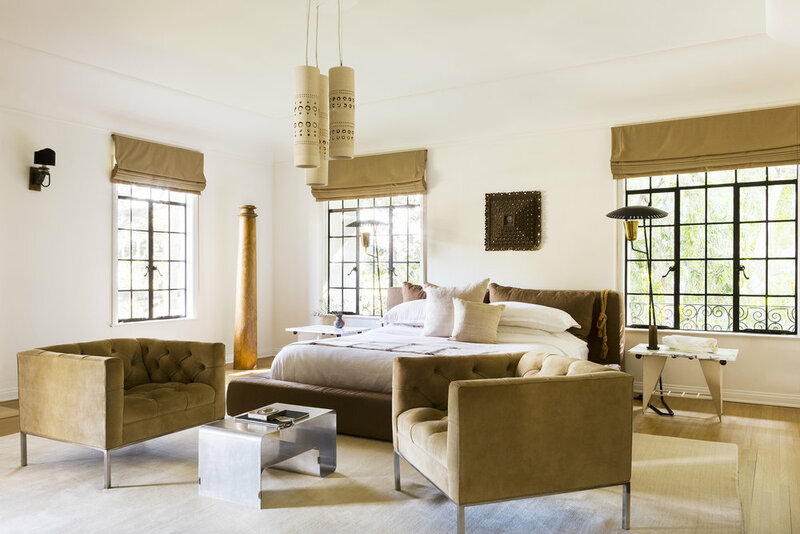 Upstairs are 4 bedroom suites plus an exquisite master retreat with double closets, a fireplace, and a large terrace with expansive views of the rear yard which features a 200-year-old oak tree, sparkling pool and spa, fountains, dining pergola, kitchen garden and more. Surrounded by lush gardens. Every detail is perfectly appointed, with stunning finishes throughout.